Ruth Milles was a well-known artist of the early twentieth century, who was particularly known for her statuettes. Ruth Milles grew up on Örby farm in Uppland in a francophile environment. Her father, Emil Andersson, had served as a second lieutenant in the French campaigns in Tunisia and received the order of the Légion d’Honneur. He was also an amateur painter. Ruth Milles’s mother had died in childbirth when Ruth was six years old. When her father remarried the family was forced to leave Örby and the children from his first marriage were sent to live with relatives in Stockholm. Ruth Milles’s younger brother became the well-known sculptor Carl Milles. Her half-brother Evert became an architect. The children changed their surname from Andersson to Milles around 1900 in reference to their mother’s use of the nickname “Mille” for her husband: they were “Mille’s children”. Ruth Milles followed the usual educational path of artistically talented girls: she began at Tekniska skolan (the technical college), and then attended Konstakademien (the Royal Academy of Fine Arts), where she studied with the sculptor John Börjeson during the years 1894-1898. Her talent enabled her to skip a year. Ruth Milles was continuously praised and, during her last year of study, was awarded the ducal medal for her sculpture entitled Köld. In 1899 she travelled to Paris where she moved in with her brother Carl, who had already been there for a year. They had a shared household and supported each other. After a difficult initial period their sympathetic statuettes of poor women and children began to be noticed. In 1901 these statuettes were in such demand that the Milles siblings, with the support of a German fellow artist, established the Société des Artistes Réalistes company in order to produce and retail the statuettes. Ruth Milles believed that she had invented a genre of saleable art and she and her brother began to dream of mass production. However, four years later they halted their production when they discovered that unauthorised versions of their art were being pirated. Illegal copies of their statuettes were also being produced in Sweden, where they could be bought in the Leja department store, amongst other places. Around 1900 Ruth Milles was a more influential artist than her brother Carl Milles. She often displayed her work at the French artists’ salons and in 1902 she was awarded honorary mention for Le chaperon rouge. In 1903 she suffered a failed gynaecological operation which forced her to return to Sweden. There she continued to create her heart-wrenching figurines: Bondhustru, and Fiskarflicka i blast, both from 1906, and Bukettlisa, Mjölkflicka, Mormodern and more, were all modelled on sketches made on her visits to the small fishing village of St Briac on the Brittany coast. Her relief entitled Efter väntan på havsstranden, 1907, was the second item by a female sculptor acquired by the Nationalmuseum in 1908. Through the acquisition of another two of her pieces, Liten krympling and Bondhustru, in the 1920s, Ruth Milles became the most publicly visible female Swedish sculptor for a long time. According to Elin Wägner there was no other female artist who “so completely transposed her art to the feminine mode of expression as Ruth Milles”. After her return to Sweden from France Ruth Milles produced two portraits for the Kungliga Dramatiska Teatern (the Royal Dramatic Theatre), representing the actor Georg Dahlqvist and the singer Jenny Lind. The latter portrait was later transferred to Millesgården. She also produced a bust of Ellen Key, which can be seen at Ellen Key’s Strand. Ruth Milles continued to exhibit both in Sweden and abroad. She won the silver medal in 1905 at an exhibition in St. Louis, USA, and similarly after an exhibition in Buenos Aires in 1910. From 1911 onwards she participated in Föreningen Svenska konstnärinnors (the Swedish female artists’ association) expositions. She was part of the Baltic exhibition in Malmö in 1914, at the World’s Fair in San Francisco in 1915, and along with Sigrid Fridman, she filled the largest hall at Liljevalch art gallery with sculpture in 1921. In addition to her own artistic output Ruth Milles also worked as an impresario and as a factotum for Carl Milles on his trips abroad, including taking care of his displays, the freighting of his pieces, the paperwork and the payments. The siblings were very close. From the mid-1910s Ruth Milles’s health began to decline with increasing rapidity and she could no longer create models. Instead she turned to writing poetry and stories. 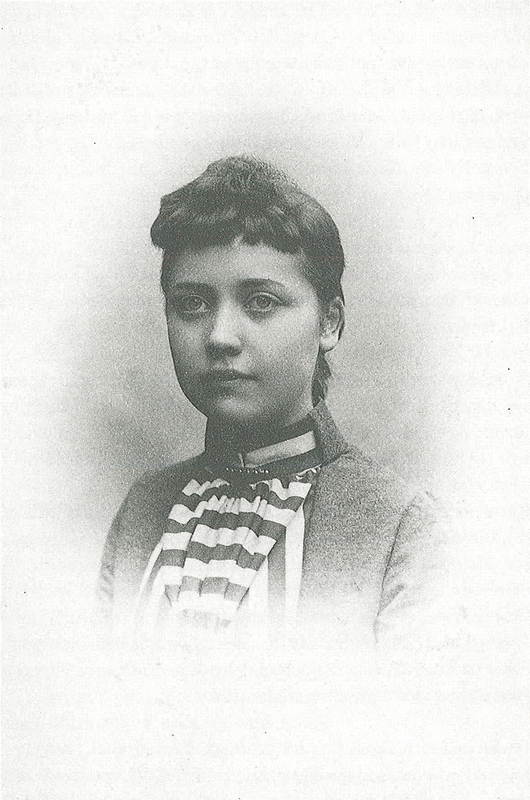 In 1918 she published a poetry collection entitled Dagarnas grå och Drömmarnas blå. Her stories were published in the 1920s under the titles Trollskrattet, Didrik flygare och andra sagor, and Glohit och Glodit, which also had illustrations. She also designed Christmas cards. From the 1920s onwards her brother Carl, now extremely successful, began to provide her with annual financial maintenance. In 1932 she moved to Italy on health grounds, again financed by Carl. A detailed display of her artistic work was mounted at Millesgården, in Stockholm, in the summer of 2008. Ruth Milles died in Rome in 1941 and is buried in the Protestant cemetery in that city. Ruth Anna Maria Milles, www.skbl.se/sv/artikel/RuthMilles, Svenskt kvinnobiografiskt lexikon (article by Irja Bergström), retrieved 2019-04-22.